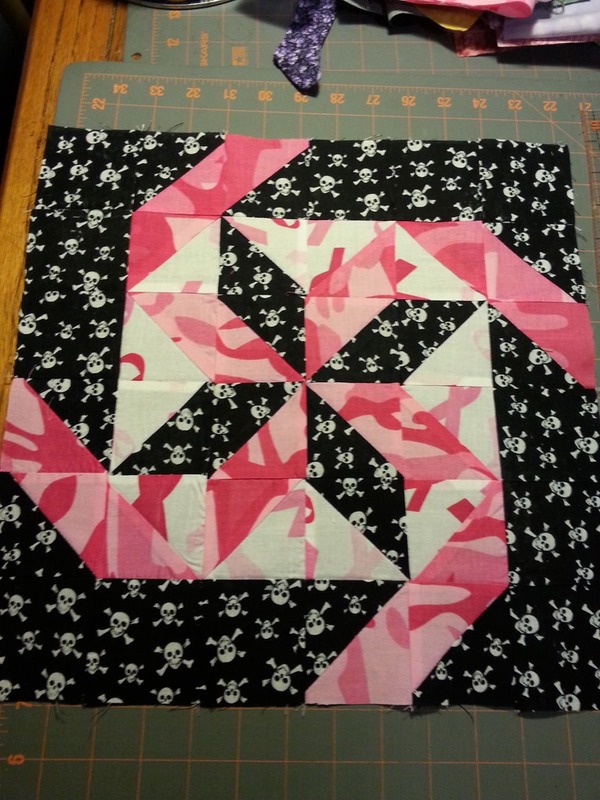 I just love the variety of looks you can get with HSTs. 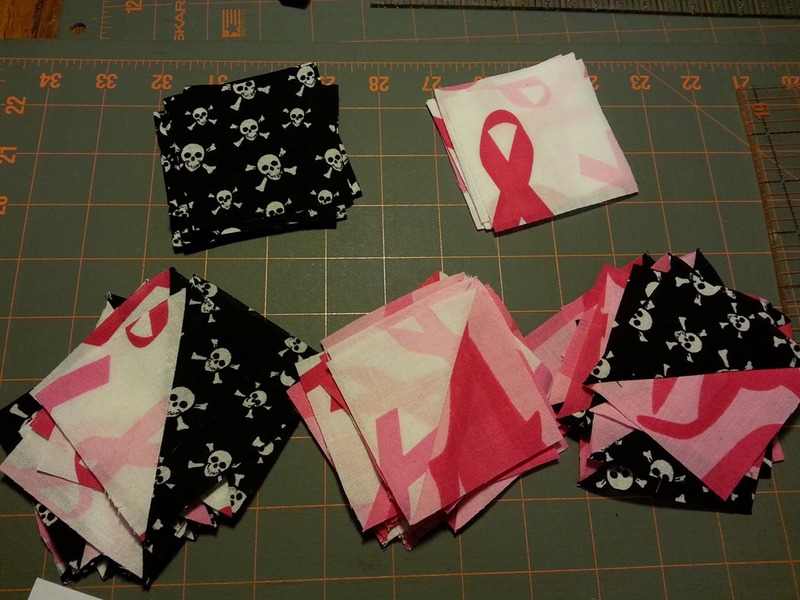 I wanted to do this with the bandanas I picked up at Michaels the other day – I had a hard time cutting into them as I was terrified I wouldn’t have enough or would make a cutting mistake. 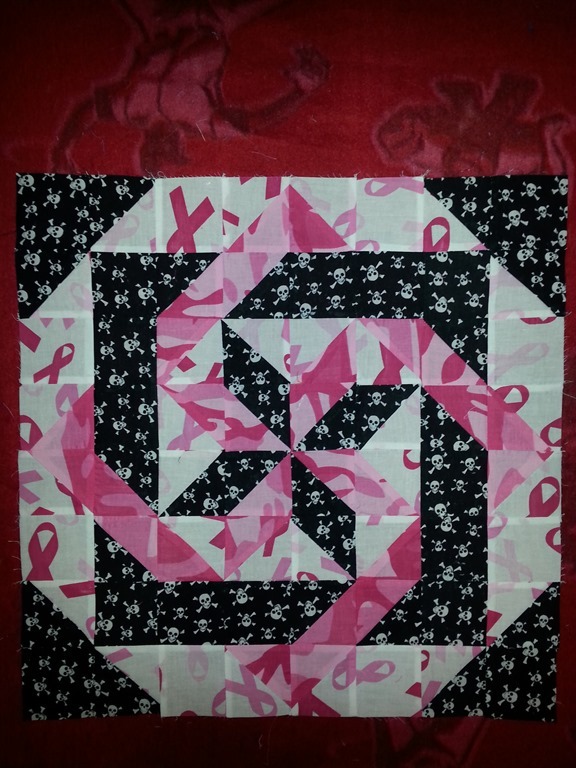 I worked it out in Quilt Pro then sent my numbers off to my quilt list. And my math was confirmed. Even after the washing it still felt different and really stretchy. Pretty thin on the thread count for these – not sure I’ll ever do one again, but for a one time quilt as a wall hanging it wasn’t all that bad. Hey, Grace! I have enjoyed you in my inbox so frequently this past month. I sure missed you! 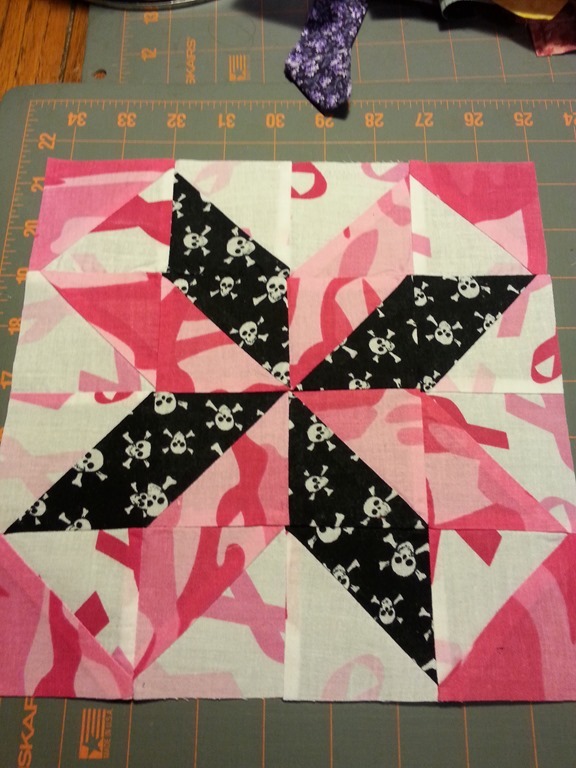 Hi Lindamarie ., yes it has been a long time .. my muse was on hiatus lol …thank you so much .. for HST I do the sew the square first method and make them a bit bigger to start then trim down. 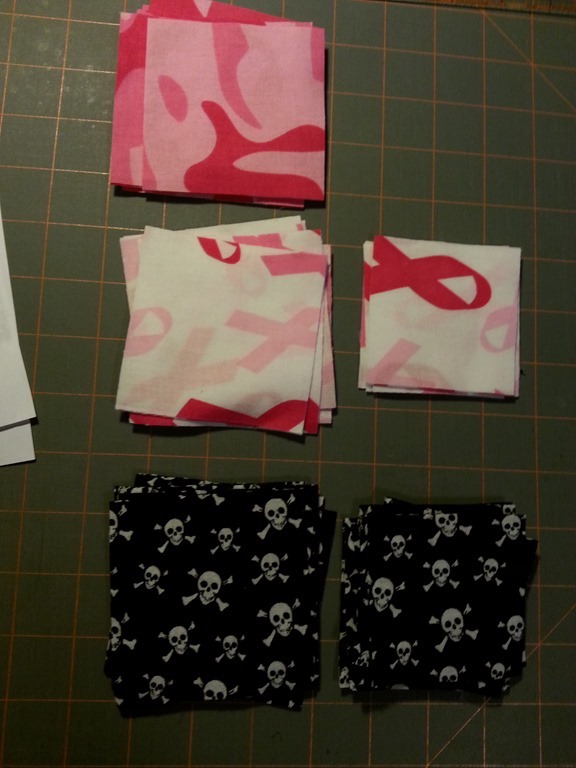 Also while sewing you can see it intersect on the back .. it’s so good to hear from you!! !